Event celebrates diversity and inclusion in the mining industry at this year’s Prospectors and Developers Association of Canada (PDAC) Convention. 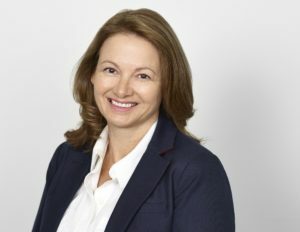 Women in Mining Canada (WIMC) is both honoured and delighted to announce Marie Inkster, President, CEO & Director of Lundin Mining as the keynote speaker for The Mining for Diversity Reception on Tuesday March 5, 2019 from 4pm to 6pm, as part of this year’s PDAC Convention. The event, part networking-cocktail and part award ceremony, has grown to be a major event at PDAC. Awards presented include Trailblazer (women who have “cleared a path for other women”), Trailblazer Indigenous (aimed at Indigenous women helping other Indigenous women), Trailblazer Student (women students who have shown an interest in the mining industry) and Rick Hutson Mentorship (men and women who have guided and supported women in their mining careers). WIMC will also take the opportunity to acknowledge the Women’s Association of the Mining Industry of Canada (WAMIC), which has a rich history woven into the fabric of the mining industry for almost 100 years. This past October, Ms. Inkster was appointed President, CEO & Director of Lundin, a multinational minerals company, after working her way up from CFO and VP of Finance. While CFO, the company successfully acquired U.S-based Eagle Underground Mine and Chile-based Candelaria Copper Mining Complex, and saw notable growth initiatives through exploration and brownfields expansions. Prior to Lundin, Ms. Inkster held senior positions in several publicly traded companies, culminating in 20 years of experience. A special thank you to our sponsors for their generous support: Royal Bank of Canada (Gold); Lundin Mining (Silver); 30% Club, Kinross Gold, KPMG, Osisko Gold Royalties and Sherritt International Corp. (all Bronze); and ERM (Trailblazer awards). Thank you also to EY for the video and to Teck, WIMC’s Core Bronze sponsor. This reception is coordinated by Women in Mining Canada in collaboration with the Prospectors and Developers Association of Canada. WIMC is a national not-for-profit organization formed in 2009 focused on advancing the interests of women in the minerals exploration and mining sector. This press release was written by Sherryll Sobie Cooke who supports corporate affairs teams in the mining industry with project management, communications strategy, editing and writing. Sherryll works on large projects and retains a roster of freelancers who have experience writing for our industry. You can reach her at sherryll.sobie@sympatico.ca or 416-466-3562.